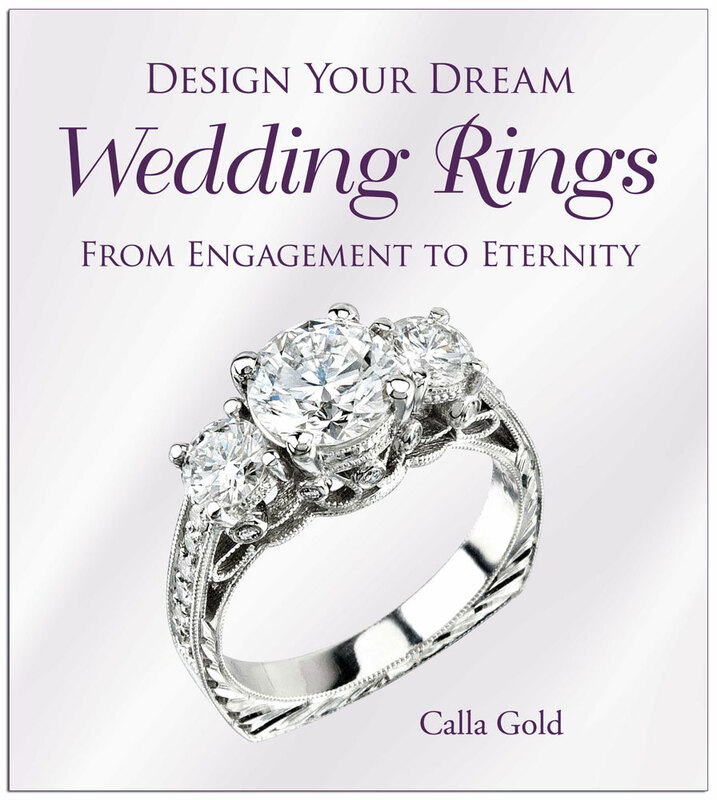 Thank you for your interest in helping spread the word about my new book, Design Your Dream Wedding Rings: From Engagement to Eternity. I’m available to provide guest posts, interviews, Q&A, or anything else related to promoting the book. This media kit is a collection of information usually needed to help promote my new book. If you need anything else that is not included here, please let me know what you need. I am always happy to help. Thank you so much for your help! If there is anything you need, don’t hesitate to get in touch. If you’ve ever dreamed of designing your engagement or wedding ring, this book will open the door to the possibilities and give you the knowledge and inspiration to see it come to life. There is a perfect ring for every hand shape and width. A make-or-break choice in your rings is how the ring style you’re considering goes with the shape of your finger. You don’t want just a pretty ring; you want a ring that makes your finger and hand look beautiful. In this book you’ll find examples and stories of brides who thought they didn’t have pretty hands or felt the rings they tried on didn’t look good on them. You’ll see how they ended up with everything from stunning but simple rings to rings that make a statement. The statement you want your wedding ring set to make should last a lifetime. It should be personal. It can reflect your tastes, your style, and—always—your commitment to your partner. From “Learning the Language of Rings” to “All About Your Hands,” you’ll see what you can do to make that statement through one of the most important jewelry selections of your life. And you’ll learn what to expect from a jeweler, how to identify the right jeweler for you, and how to work successfully with your jeweler to make this experience a story you’ll love sharing. With many colorful and sparkling ring pictures and examples of different styles and design details, Design Your Dream Wedding Rings is a pleasure to read. It is laid out in sections that bring you along in your design journey successfully. The author includes quizzes at the end to assist you in keeping track of your dream design process. With this book, you will wed with the rings of your dreams! With her background as a serial entrepreneur and her clear artistic vision, Calla Gold was destined to become a jeweler. Her last name is name Gold (really! ), and she’s often described as the problem-solving jeweler due to her talent for bringing to life neglected pieces of jewelry. She has helped countless clients create their dream jewelry with her decades of skill and understanding of everything that’s possible in jewelry creation. For many clients, this can include re-purposing important family gemstones from old pieces relegated to the darkest depths of her clients’ jewelry box. Calla established Calla Gold Jewelry in 1983, and she creates unique custom jewelry for her clients. She also teaches the process of jewelry making and maintenance, and helps her clients make their precious pieces last. All of her past entrepreneurial ventures prepared Calla for her calling. At sixteen, she started her first business, Rufflebums, where she resold gently used clothing. At nineteen, she started Cinderella Services, Housecleaning Extraordinaire, which she sold four years later. With the proceeds, she started Calla Gold Jewelry, which became her life’s work and her personal passion. Calla’s husband, Jeremy, has worked side-by-side with her since the inception of her business. He’s the yin to Calla’s yang. Calla visits clients in their homes or at her private club, helping them create the jewelry they’ve always wanted. Behind the scenes, Jeremy manages the day-to-day activities that keep the company rolling and successful, and it keeps Calla free to focus all her creative energies on her clients’ needs. Calla loves the beauty of nature, horses and everything she learned from working with them in her youth, and sharing her life with friends, family, and her wonderful son. She and Jeremy live in Santa Barbara, California. When she isn’t working, she enjoys traveling, hiking, and anything that lets her energetic spirit run free. 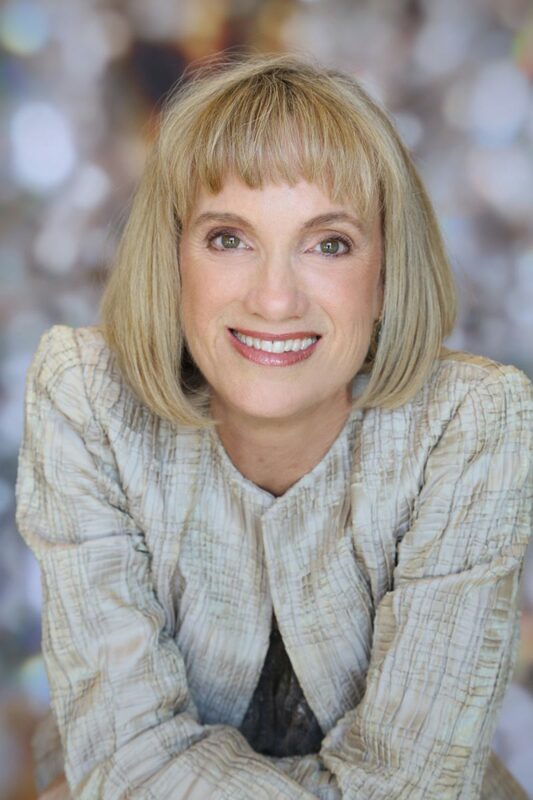 She speaks at seminars and conventions on being an expert jeweler, designer, marketer, sales trainer, and on empowerment for women in business. In 2014, Calla won the Spirit of Entrepreneurship award, which recognizes the contributions of outstanding women entrepreneurs to the economies of Santa Barbara and Ventura Counties. She is a member of the Manufacturing Jewelers & Suppliers of America (MSJA). Anyone can grab an engagement or wedding ring out of a display and say, “That’ll do.” But it’s much better to put yourself into the design. Here are a few ideas on how to bring your own flair into your design. There are three different colors of wedding ring metals: yellow gold, rose gold and white platinum. Your skin color will sing with the right metal color choice. Your lifestyle is a player in the successful choices you make for your dream ring. The wrong setting choice for your gemstones joined with vigorous living can lead to maintenance nightmares down the road. Getting the right setting for your ring is essential. The shape of your hand and fingers will be complemented or look unfortunate based on the shape and details of your ring. Try on different styles to discover your best look. Vintage details like decorative hand engraving create a more old-world feminine look for your ring. If you’re into vintage, this may be an important consideration in the design of your ring. Let the era of your furniture, architecture, and your personal fashion sense guide you to unique details for your ring. Look for a unifying theme between the rings for you and your partner. For example, you can both use the same metal color, use decorative hand engraving, or add a like element from one partner’s ring into the other. Choices like whether to have a straight ring shank or tapered make a huge difference in how your ring looks on your hand. Take the time to try on choices and note which one looks best. Whether to go thin or thick for the width of your rings depends not only on the size and length of your fingers, but the age of your skin. At the heart of it all, your engagement and wedding rings symbolize your story. When you put your taste, consideration for your lifestyle, and your love for your partner in your rings, they will be singular and unique! 1. What was your inspiration for founding Calla Gold Jewelry back in 1983? My previous job and small business ownership experience involved visiting people in their home or office by appointment. I found the connection made with this one-on-one style of appointment to be more rewarding than standing on the other side of a glass display case. I vowed to keep this business model when I became a jeweler. The choice to become a jeweler is an odd one. I surveyed my clients from my sales job and my soon-to-be sold business about what they’d like me to do next. With the clipboard and pen in hand, my clients determined my career pivot. It didn’t hurt that my last name is Gold! 2. What was your motivation for writing Design Your Dream Wedding Rings? While updating the Calla Gold Jewelry website, my web person, also a jewelry client, said I should start blogging the wonderful explanations of all things jewelry. Truly, I could spend ten minutes describing the vagaries of ring sizing, its cost, its various levels of difficulty etc. And it was the same for answering many jewelry questions. I accepted her advice and found I liked writing explanatory blog posts and happily they were well received. One of my clients described how she’d like her diamond to be set with those ‘sticky uppy things.’ She laughed at herself for not knowing the word for what she was describing. I realized that there should be a book that showed pictures of prongs and defined them and many other words specific to jewelry design. Once I decided to write the book I started paying more attention to the elements of ring design that tripped up my clients and caused them to ask questions. The chapters in my book came from their questions. 3. You are an avid blogger. How do you come up with content for it year after year? At first I tackled the low hanging fruit, the frequently asked questions. The really cool benefit of this was the fact that I could say, “I’ll email you a link to the blog explaining that,” then I could move on and save ten to twenty minutes of my client’s time. They loved the pictures and examples that went along with the explanations. More than one person said, being able to go at my own pace and double back if needed was great. Being a very visual person, showing, not just telling has always mattered to me. Once the easy frequently asked questions were answered, my new blogs drilled down on the repair, re-purposing and re-designing work that I do, showing examples with pictures that inspire many people to pull out the dated gift for a modernizing update. The few times I showed solutions to jewelry problems they were well received, so I started paying more attention to when jewelry problems came my way and started documenting the most interesting ones. I added reviewing some jewelry tools and gadgets as well, for example monster backs vs regular sized backs, and what to do if you have a ripped earlobe. From there I started blogging about various aspects of jewelry design for jewelry lovers. Just when I think there’s nothing more to say on my blog someone will ask a great question, or I’ll be given a photogenic jewelry project, or I’ll have an opportunity to update a past blog with new information. 4. If you had one piece of advice to share with women about designing their own engagement or wedding ring, what would it be? I’d tell them to take their time and not be romanced by their best friend’s ring or a pretty picture of the ‘perfect ring.’ Try rings on and see what width looks prettiest on your hand, and whether a straight or tapered shank looks best, or if you like engraving on your ring, and what your personal style is, or if you look best in yellow gold, platinum or rose gold. There are so many intensely personal elements you can incorporate into your ring design. Taking the time to explore your personal preference can mean the difference between an impulsive window-shopping or web browsing choice, and a meaningful love ring for a lifetime. 5. What is your favorite client story? I had a client who had been in a verbally abusive marriage that she stayed in until her children were grown. She had gained a lot of pounds during the unhappy marriage. When she left the marriage, she took control of her life and lost the weight. When she was comfortable with herself and had created a wonderful new life, she had a tattoo of a butterfly put on her wedding finger to signify metamorphosis. She assumed that there would be no marriage in her future, so she reclaimed that marital ring finger for herself. A handsome and persistent friend who fell in love with her wanted to marry her, and I was tasked with creating a ring that would cover the fairly large and pointy winged tattoo. She was joyful and creative and loved autumn colors. The large, asymmetric, colorful, textural ring we created for her is an all-time favorite of mine. Their happy ending gives me happy chills. 6. People may be surprised to know that you lived in two communes. When was that and what was it like? My mom and I moved into the first commune when I was about twelve years old. I left commune life at seventeen and moved out on my own. I loved communal living and thought it was the best idea ever. We shared cooking duties and my palate woke up to different cuisines. I was quite fascinated by seeing how adults really act and what they think and what makes them cry. I also loved the freedom a large group gives to a child who wants more unsupervised time to herself. Many members who had never had kids talked to me like an adult, and I found that surprising. Commune life pushed my vocabulary, taught me about philosophy, politics, love and heartache. Both communes offered much more in the way of shared spaces to do projects and art. I observed commune members painting, sculpting and beading. I happily and messily joined in, ending up candle making Christmas gifts one year and tie-dyed t-shirt and necklace making for others. One of the greatest things about living in the commune while rebelling from my single mom was I could vent my frustrations to ten different adults and get ten different responses. Having ten different viewpoints aside from my own and my mother’s, improved my negotiating skills and showed me when I was being beastly. Most of the adults there wanted to improve themselves and it rubbed off on me as I am a lifelong seeker of self-improvement. 7. You also realized a dream of having a horse at age thirteen. How did that come about? During a difficult period in my life involving an unhappy relationship with a step-parent, my life long obsession with horses became a lifeline. I decided I would own a horse and focused on learning as much as I could from books about horses. I drew horses as an escape and ultimately started little money making ventures to put money in a savings account for a horse. The savings account got me my first horse. An advantage of the first commune was its proximity to a large pasture for inexpensive boarding of horses. I was able to pay the monthly expenses of owning a horse with three part-time jobs. This early experience of being monetarily responsible for my horse taught me to be confident about my ability to take care of myself financially. Most people in my life thought this goal was ridiculous. Meeting this goal in spite of massive obstacles showed me that I could get challenging things done. 8. Tell us about your experience with Scientology, how you got into it and why you left it? I felt a bit lost after high school. There was no college fund and I’d impulsively gotten a dog which was not allowed at the commune. I figured I could talk them into it. I was mistaken. I moved out and had to get a job at eighteen to support my dog and myself. It was a low point and I had made a few bad choices about whom I chose for friends and boyfriends. A woman I greatly admired introduced me to the church, which pre-internet, I knew nothing about. I was love bombed with the, “you’re so amazing,” “so innovative,” “so young to know your mind,” and that kind of thing. I sucked it right up. At the church I was accepted by a group that seemed similar to the large supportive group of adults I’d known in the commune. I also liked the early courses in common sense data on handling problems. I’d probably have learned similar things at college in a psychology class, but alas, rebel that I was, I was DONE with schooling. The joke was on me in that I was expected to show up fifteen hours a week at the church to study. There I met Jeremy, the wonderful man I was to marry, and made many great friends. Though my enthusiasm waned badly at times, I stayed because of the connections. I ultimately left when I went on the Internet and read stories mirroring the controlling and invalidating experiences I’d had, and seeing how someone else was treated, I was incensed. Why I’d put up with this treatment on myself I can only chalk up to being a good little martyr, which I have been a champion at, at certain times in my life. I’m happily out and being more creative and productive than ever before. And happily the church was unsuccessful in their bid to have Jeremy and I divorce. WOW, my ring is gorgeous, beautiful, and I totally love the texture. It fits perfect, looks wonderful alone, and it looks great with my wedding band. I truly love it, Calla, and am very, very grateful. My rings are so beautiful and fit perfectly for the first time ever. Thank you so much for your beautiful work! Calla, you are a dreamworker. My ring, it’s just perfection! I wanted to share how thrilled I am with the work that you did on my family ring. I had taken it to another local jeweler to get it looked at and they told me that the ring was a lost cause – that it would be impossible to rebuild the thin and damaged shank. And that it was only good for the scrap value. Not only did you prove that it could indeed be restored by replacing the shank but you also proved that it could be done far less expensively (and far better!) than I was anticipating. I am a 5th generation bench jeweler, who recently purchased my family’s store. I have been reading through your website since I discovered it about a week ago, and I must say well done. I encourage my staff to read a lot of your posts as I feel you explain my industry very well, and answer a lot of common questions. I just wanted to reach out and thank you for being such a great source of knowledge. I received the ring today and it is simply gorgeous! The ring fits perfectly and I am truly amazed at your remarkable workmanship. I am so glad I found you just by an Internet search – pure luck on my part to find my perfect jeweler! I’m going to be singing your praises forever! My rings are stunning! My fiancé and I almost cried when we saw them. Replacing those side diamonds really did a lot for the ring, and you’ve done excellent work all around. I’m very, very happy! I just wanted to say thank you so much for my beautiful ring! James just gave it to me, and I am dumbstruck. It is so much more beautiful than I ever could have imagined. The really incredible thing is that the ring looks different in every light, and I find myself staring at it because there is so much detail and beauty from all angles. I am not quite used to wearing such a beautiful piece yet, but it certainly makes me feel special and I feel so lucky that James wanted to make sure I have a ring to wear that I love and that is special to both of us. We were on the island of Iona on my birthday, having supper next to a window overlooking the Island, with the Abbey and ocean spread before us, when Jim handed me my birthday present. When I opened the box, it literally took my breath away. As a priest, and as a wife, the piece is deeply meaningful to me. Such deep thought and care and flawless execution. It brought tears to my eyes, and an enormous smile to my lips. Your talents produce lovely results, indeed, but also touch hearts. I can’t even describe to you our reactions when we opened those boxes! The rings are so incredible we just sat there in awe for a full minute or two. I can’t thank you enough for bringing this vision to fruition. It’s been a godsend! I wanted to give you kudos on the outstanding service you are doing in educating people about jewelry design and durability. We live across the country but in looking for engagement rings the past several months your blog posts have been an invaluable resource for us. In particular your writings about gold vs platinum, and re-tipping have been so helpful. Beyond that, reading through people’s questions and seeing your individual responses have answered so many of our questions and informed and prepared us about topics we didn’t even know we’d encounter. You are a true gem! I ABSOLUTELY LOVE my new ring you created! It’s truly beautiful and so perfect now, in this simple, beautiful shiny gold setting. Very sculpted and smooth, like a beautiful piece of sculpture; it is as beautiful to feel as it is to see! Thanks a million for your beautiful workmanship, and for understanding exactly the kind of feminine design I was hoping for. I gave the ring to Hazel last Saturday evening. I must say she was almost speechless! She just kept looking at it for the longest three minutes ever! She absolutely loves it and I couldn’t be happier! She said she would never take it off. I think that’s a good sign. LOL! THANK YOU so much for repairing my ring, replacing the diamond and making it look like new! I love it! I will definitely get back with you in the very near future for a new project. Mark took me to lunch and proposed today; the ring is beautiful and fits well. I am very happy with it. I think Mark is proud too; he really likes how it looks on my hand. Thank you for your amazing details and precise sizing on my bracelets and anklet. It feels so good to finally wear them knowing they will not fall off. Plus it is so much easier to put them on with the new and improved clasps you added. Stunning, darling! My husband gave me my ring at dinner at the Beachside, the same place we originally got engaged! It is so beautiful and more than what I expected. Here’s to twenty-five years and more to come. Elyse was ecstatic! She said she feels like a princess in a Prokofiev ballet. Beyond expectation! I will recommend you to any and everyone, and also post on your blog & FB. I absolutely LOVE my engagement ring! It’s perfect. I couldn’t be happier, and the wedding band is absolutely gorgeous! I can’t wait to wear them together! I’m so excited right now. You are the best and more. Thank you so much. I received the trinity ring today and that it looks absolutely divine. This is going to mean a lot to her, and I just wanted to convey my deepest thanks to both of you for all of your ongoing assistance, support, and generosity. I’m fairly convinced this one is the one ring to rule them all!